If you happen to spill liquid or put a stain on the the leather furniture upholstery, following our advice, you will return the leather sofa to your original condition in two counts! If you happen to spill any liquid on a leather sofa – do not worry! Carefully soaking the stain and using special cleansers for furniture made of leather, you can easily cope with most of the dirt. Regularly vacuum the leather sofa using a nozzle with soft bristles. Spilled liquid on the sofa should be soaked, not wiped. For maximum results, use special tools for the care of leather furniture. Leather furniture has many advantages: its natural upholstery differs durability and elegant appearance, acquiring a soft shine as it is used and becoming only more beautiful with the years. However, such furniture needs regular care. 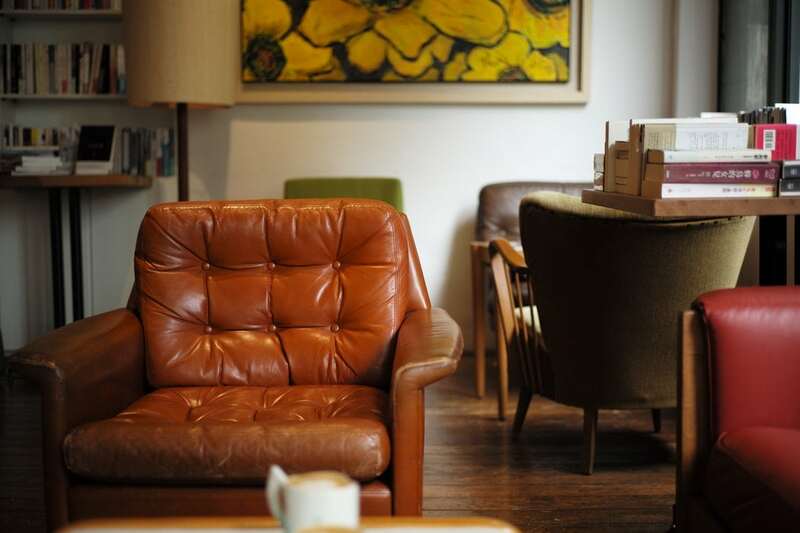 Learn how to clean and look after leather furniture. The the leather emits natural oils that protect its surface and prevent premature aging. Without this protective layer, it will quickly dry and crack. During the period of its use, leather furniture gradually loses the protective oil layer, which should be restored, simulating the natural process with the help of protective products, for example, special preservatives and air conditioners. To ensure that leather furniture does not lose its exquisite appearance, place it away (at least half a meter) from heat sources and avoid direct sunlight, as heat and light will dry the upholstery and lead to cracks and discoloration. How to clean leather furniture? 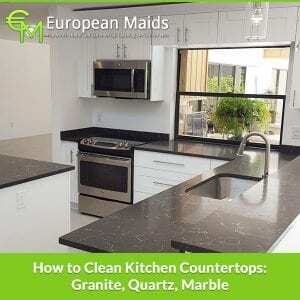 Cleaning leather furniture – not too time consuming process. It’s easy to spend at home. Vacuum the furniture using a nozzle with soft bristles. If you regularly use your leather furniture – especially if your own skin is often in contact with the upholstery – you need to vacuum it once a week. Pay special attention to folds and cracks, as it is in them accumulates the greatest amount of dirt, dust and particles of your skin. Wipe clean. Using a clean soft rag soaked in warm water, wipe the upholstery of leather furniture weekly. Apply conditioner for your skin. This is an important part of caring for leather furniture! 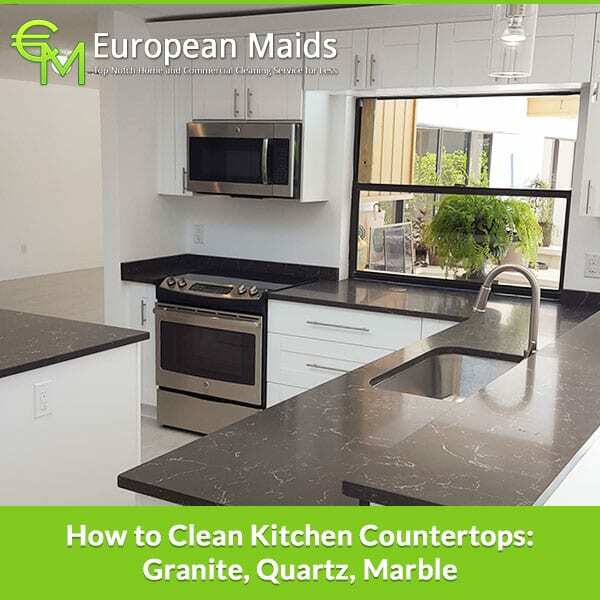 As with any household cleaning product, be sure to read the instructions on the labels and test the effect on a small and subtle area of ​​the surface. Apply the product, protecting your hands and face. Wet, and do not wipe! Do not rub the stain from drinks, food, ink over the surface, but gently pat with a damp cloth. Use a special cleanser for leather. It is especially useful in case of serious pollution. Follow the instructions on the labels carefully. Apply a conservator to the leather. Finish the job by treating the damaged area of ​​the surface. That’s all! Follow these simple guidelines to ensure that your leather furniture does not lose the elegance of appearance, and over the years it becomes more beautiful. Cleaning your home is a balance between different requirements and this will effect the products you choose and how you use them. Some people make the mistake of using the wrong products at the wrong time or using two few products. Whether you are doing your own cleaning or have a home cleaning service you need to make sure that the right products are used. 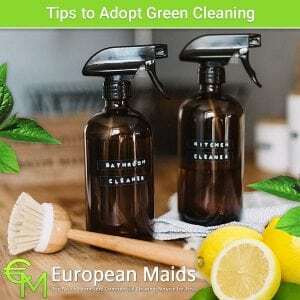 With a home cleaning service they will often bring their own cleaning products but you may want to check what these are before hand and may even want to provide your own or specify how different products are used. Some cleaning products are ideal for removing dirt and grime, other stains and tarnish. There are then of course products for killing bacteria and germs and leaving your home safe for you and your family. At the same time some products stain and damage certain materials and surfaces so should be used with caution, often diluted to a very exact degree or simply not used. 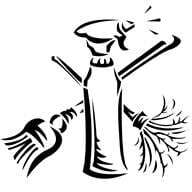 Other products let off fumes and so you may not want them used at all or may want to only use these or have them used by your home cleaning service when your family are not in the house and the weather allows for your home to be aired afterwards. 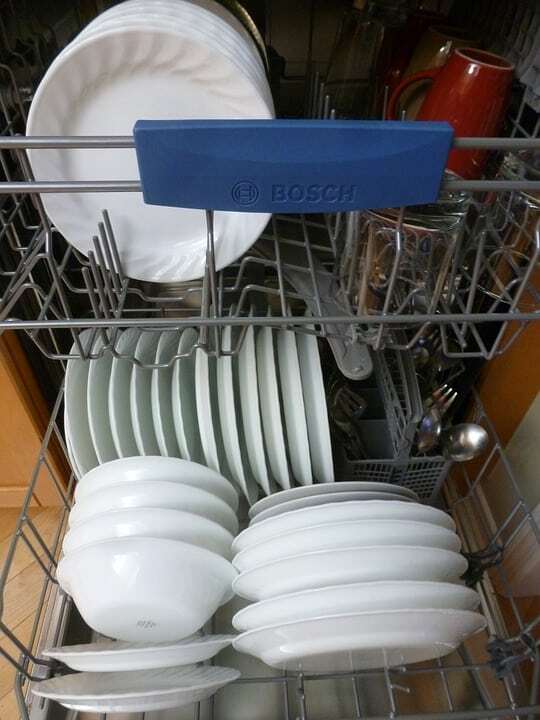 When it comes to removing dirt and grime what is often needed is a lifting action, this includes using baking soda which is also natural and harmless, you might use other commercial products with chemicals in though, especially for burnt on food in an oven. While products with a lifting action may need to be left, abrasives may need some hard work to make the most of, you may use sandpaper or wire brushes but also products may contain silica or similar to make cleaning products, often including cream cleaners, gritty. Stains and tarnishing are different though and need different products. 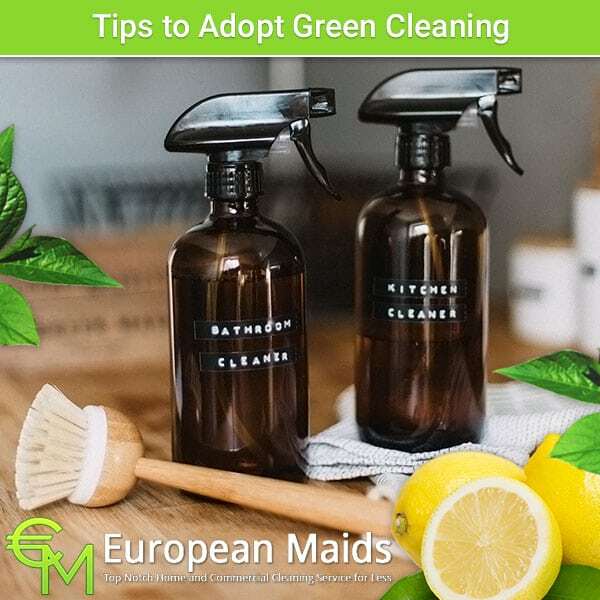 Vinegar and lemon juice are both acidic and can remove tarnish from products such as silver and other metals including sinks and also soap scum from sinks and baths. Stronger acidic products may work more quickly and be better for tough stains on toilets and rust stains that can be very difficult to remove but it may be better to use lemon juice and vinegar and leave them to get to work as these are less harmful and are much less likely to stain: though you should be careful with varnished wood and worktops made or marble or similar. Bleach is a product that many people don’t like the smell of and it can cause damage but at the same time it does get rid of stains, though doesn’t actually remove very much dirt but makes it less visible. Let your home cleaning service know your preference for use of bleach and be clear what surfaces you do not want it used on. There are then anti-bacterial products, most of these are not natural and can actually be quite harsh chemicals; there is also the argument that a house that is too clean is actually bad for children who need to naturally be exposed to some bacteria to build up their immune systems. Some people prefer to use natural anti bacterial products such as lavender oil, make sure again your home cleaning service knows your preference.